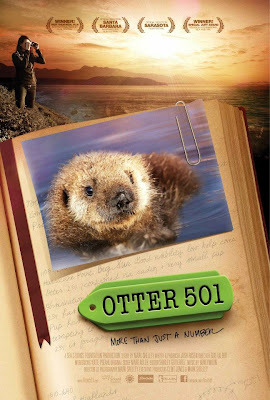 Inspirational Web Chat Wednesday on Otter 501 Documentary - Join us! Being near the ocean has always been my "happy place". My walls are covered with ocean art and I start to get antsy when it has been too long since I've been at the ocean. Our oceans are in trouble - there is no doubt about that. They are under assault from everything from over-fishing to pollution. 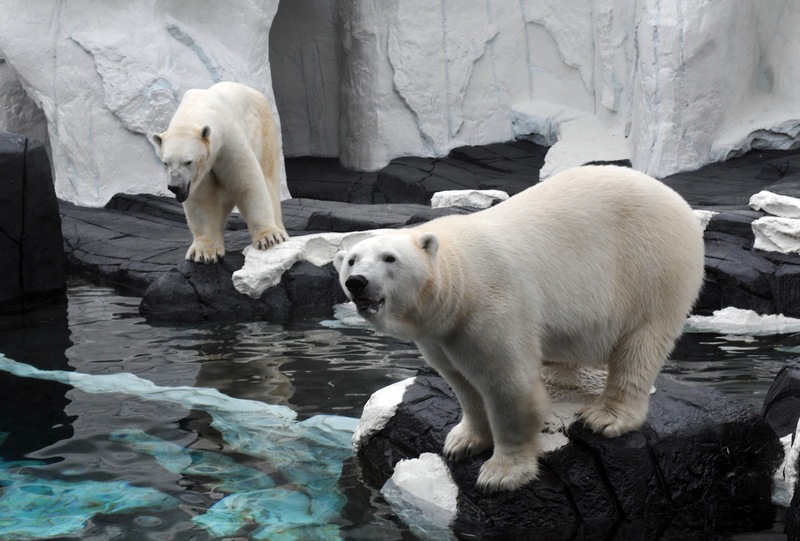 If you listen you will hear countless news stories about the plights of the polar bears, the overfishing of this or that animal (harsh fishing restrictions are constantly implemented and is even currently being shown on the popular Deadliest Catch show on tv). Some of the amazing sea creatures we have long since taken for granted are suffering. What do I think is the absolute most important thing we can do to help reverse this? As parents we need to teach our children to have a love of the ocean and the creatures in it. It all begins there. Does that mean I'm a radical tree-hugger? Not at all. What I do have is an understanding of the circle of life. We can't allow certain sections to disappear and not expect everything else to collapse! I was asked to co-host a web chat on a documentary (watch for my review of the movie next week!) on Otter 501. It's a powerful documentary that really drives home the plight of one species in trouble - the California Sea Otter. 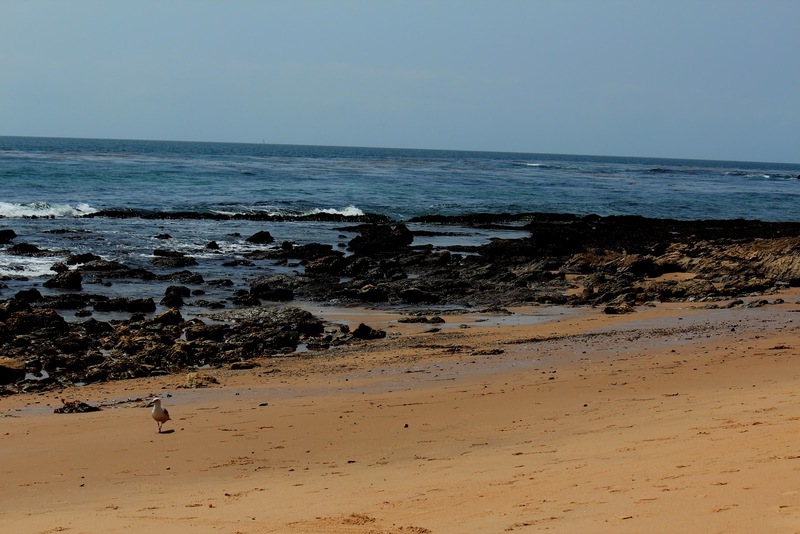 It was filmed in one of my favorite places in the world - Monterey Bay. Much of it set at the Monterey Bay Aquarium highlighting their conservation efforts. Please take a few minutes on May 2nd Wednesday morning (10 am pacific time/1 pm east coast time) to stop in and hear amazing insights in to the filming of this documentary, the messages behind the documentary and ways to get kids involved in science and conservation. You can go here to participate and help us spread the word to everyone you know! The web chat should last about 30 minutes. Otter 501 will be released in select theaters in May 11th (you can find those here). Can't make the web chat? Become a fan on their web page here or check out their web page here! I've had house guests for the last few days, it's been crazy but super fun! Earlier this week was my godson's birthday so I took the chance to make him a themed fondant cake. And this is how my cake turned out! What do you think? (P.S. it was dark chocolate with Oreo cookie filling and it's actually about a foot in diameter!) I handmade the fondant, cut the cake to the shapes and decorated it with shimmer edible color dust. I'm pretty excited about how it turned out! I don't claim to be super green. What I try to do is make as many green choices as I can every chance I get. Baby steps. To celebrate Earth Day Post-It notes have released a new line of Post-It notes that are made from 100% recycled material (30% is post-consumer material) and an adhesive made with plant based materials. We go through a lot of Post-It notes in our house, so I'm super excited I have one more place I can make the green choice. Next time you're at the store picking up Post-It notes - make the greener choice and choose recycled Post-It notes! It's an easy baby step to take! Looking for a fun and educational family adventure this weekend? 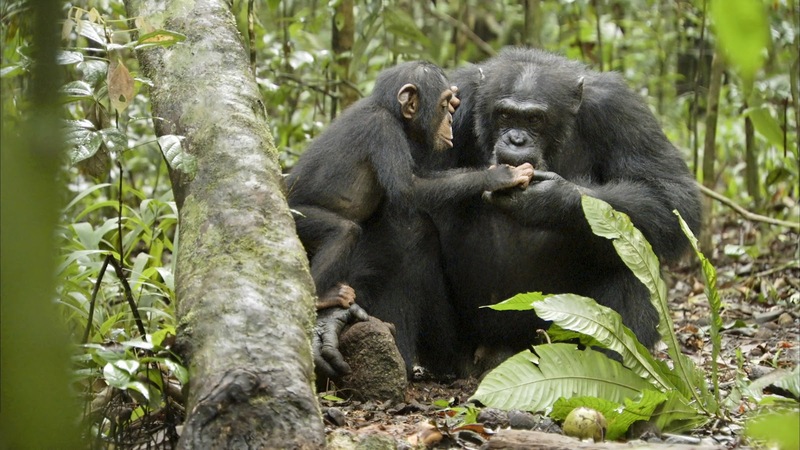 Head on over to Hollywood's El Capitan Theatre to see a special limited engagement of Chimpanzee (it will be running at the El Capitan from April 20-May 3). 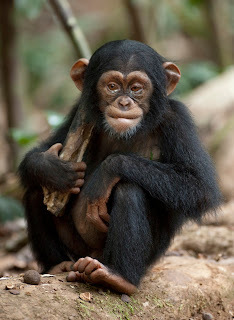 Chimpanzee is an inspiring movie about an adult male who raises a young Chimpanzee. The movie is narrated by Tim Allen. 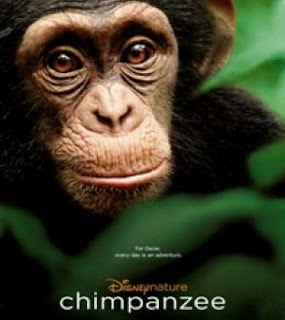 It's a movie sure to inspire your budding nature lovers and is a fantastic way spend Earth Day! Teaching children to respect and appreciate the beauty this amazing planet of ours has to offer will help them grow to be responsible children. Disneynature will be donating money to the Jane Goodall Institute for every movie ticket sold during the first week. 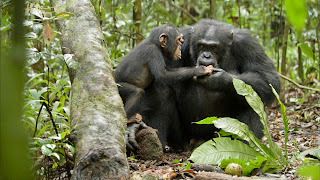 The Goodall institute was formed by Jane Goodall in 1977 and has earned the respect in the scientific community as well as the humanitarian community for its commitment to empowering people and making the world a place. Each showing of Chimpanzee with be accompanied by a special showcase by the Wildlife Learning Center that will feature animals from around the world. For more information and ticket information go here. Free Hands On Driving Tips from Race Car Drivers and Jaguar! From a very young age I had exposure to performance driving and sports cars. Those experiences have served me well as I've gotten older. Knowing how to maneuver vehicles in challenging situations is an invaluable experience! Simply knowing when to accelerate in a turn and when not to is one of my most favorite tips. It makes a huge difference in how much control over the vehicle you have. Also another tip I love is where your car should and shouldn't be in a turn to maximize your braking and accelerating! 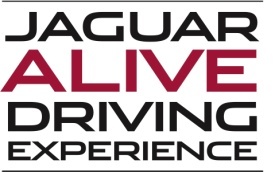 Jaguar will be making a stop in Irvine as part of its' 18 city tour - The Jaguar ALIVE Driving Experience this weekend (April 20 - April 22nd) at the Verizon Amphitheater. It's free to attend and you'll be given the chance to test drive the entire Jaguar collection accompanied by processional race care drivers. The drivers will be able to offer tips and tricks to improve driving skills. If you're interested in attending go here to sign up. 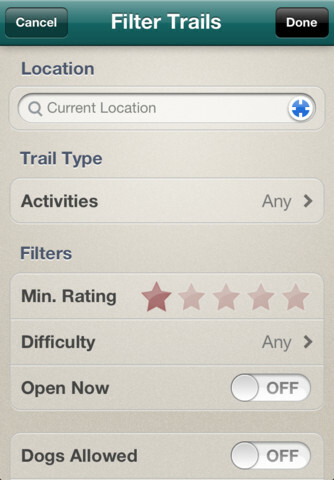 Free App for Finding the Perfect Outdoor Adventure! 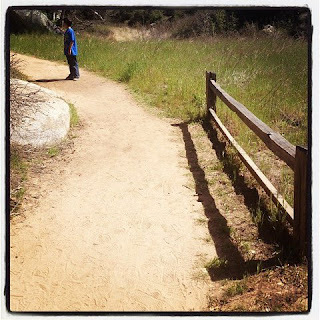 Getting outside and enjoying nature has always been one of my favorite things to do. Whether it's relaxing at the beach listening to the waves crash, walking on a trail through a forest listening to birds chirp or any of the other countless ways to enjoy nature - I love it! 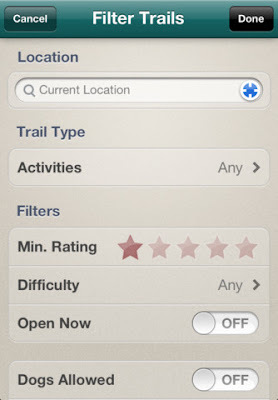 Unfortunately it can be time consuming to track down the right trail or other outdoor adventure so the Sierra Club is now offering a FREE app on the iTunes store called Trail Explorer. It's free and easy to find (type Sierra Club in the search bar and it should be one of the first two to come up). There are over 40,000 trails listed. 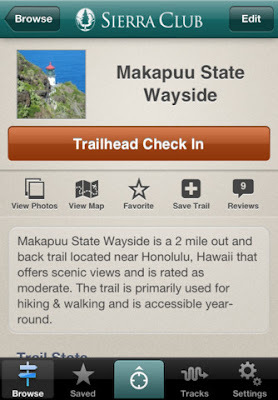 Allow it to use your current location and it will tell you how far you are from it, the types of recreation allowed, whether dogs are allowed, the features, popularity and other key information (like distances!). I've been playing around with it and honestly think this is one of the coolest apps for outdoor adventures I have ever seen! It will even track you by GPS and show you the distance you have traveled and where you are. So head on over to iTunes, download it and get outside to explore something in celebration of Earth Day! For more information about the Sierra Club you can head here. 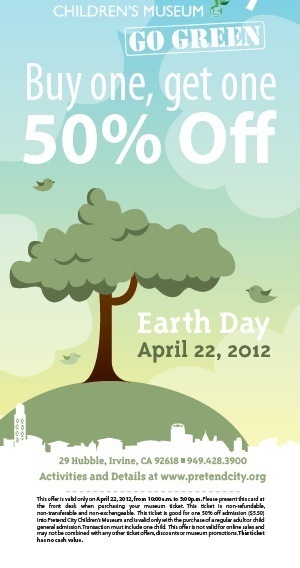 Pretend City Buy One Get One 50% off for Earth Day Fun! Science Spark (9:30 am & 1:30 pm): Spark your child’s interest in science and the environment! Mad Science, the world's leading provider of science enrichment for children, will present two classes to ensure that children of all ages have a chance to experience their environmental education classes. Bugs! (9:30-10:30am) - This class is recommended for children ages preschool and up to help them learn about natural habitats and the bugs that live within these special environments. 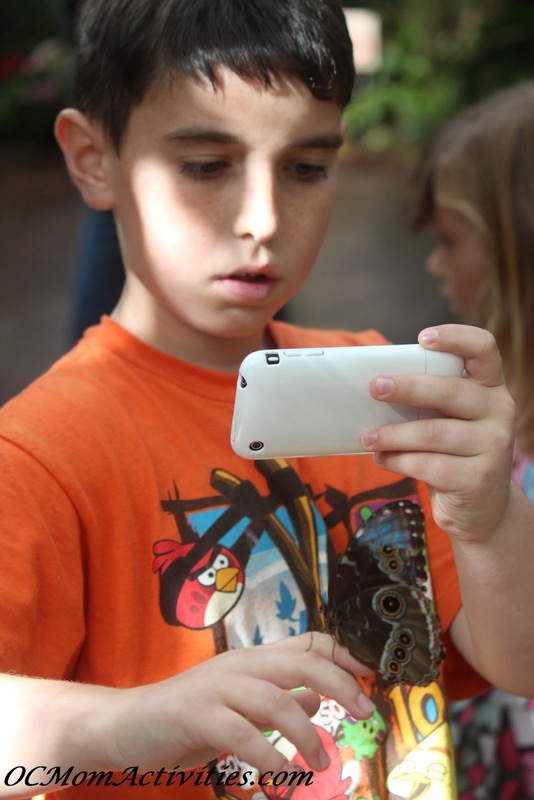 Children will study an assortment of bugs, their defenses and their role in our ecosystems. As an added bonus, children can take home ladybugs to add to their very own garden. Earth Awareness (1:30 – 2:30pm) - Children five years of age and up will enjoy learning about the different factors affecting our Earth today. As their cognitive skills develop, they are better able to understand community functions and begin building an interest in the environmental aspects of the community. This class will build upon this interest as they discover how water can go from dirty to clean through a mock lake. Busy Bee “Bees”-ness (10:30am): Guerrilla Beekeepers will give us an inside look at honeybees and their importance to our health and our Earth! We will learn all about how honeybees tend to the hive, feed babies, make honeycomb and pollinate 80% of our produce. You’ll even get to see real bees! A Bug’s Life (2:30pm): Dr. Sue, "The Bug Lady," gives her live bug presentation about insects and arthropods! Her insect program helps dispel myths and misconceptions about bugs and brings some love to our crawly creatures that share our planet with us! Come one, come all to a sing-a-long with the Kazoom Band! They will get your child movin’ and groovin’ to their earthly tunes. Good to Go Game: Beach Clean Up! Your children will enjoy this hands-on cause and effect scenario. They will learn the importance not only of putting trash in the garbage can, but also how important it is to recycle and reduce the amount of trash we create. What a great way for kids to spend Earth Day! For direction and hours you can go here. When I was pregnant with my first son, I spent countless hours researching everything from what he looked like during the stages of development to what I should be eating. 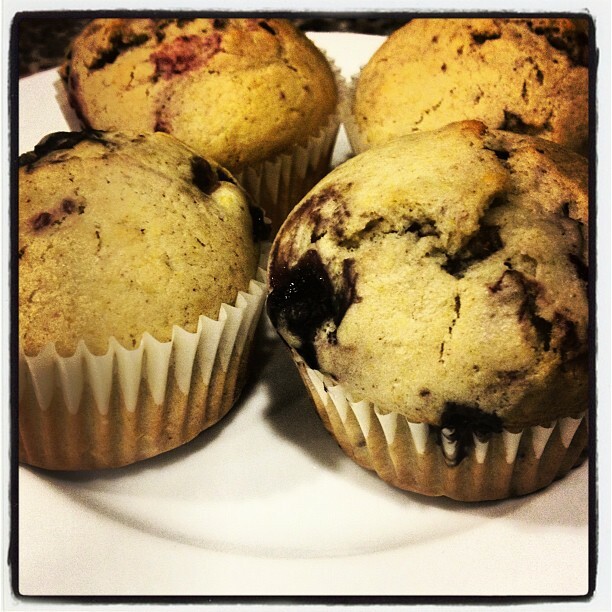 I'm excited to share the following guest post on why Protein is so important during pregnancy and ways to get enough! If you have a guest post you'd like to share - email me! I'd love to share everything from birth stories to tips for deliveries from moms! Why Is Protein So Important During Pregnancy? We all have heard about the importance of protein in our nutrition, but what makes it so important? Actually protein is made of amino acids and these are considered to be the building blocks of your body. This means that they also are the building blocks of the body of the little one. You should really focus on the protein intake during the second and third trimester. This is because that is the period when the little one is developing at the fastest rate and so the demand of nutrients is at its peak. Nutritional specialists say that during your pregnancy, your body requires about 70 grams of proteins on a daily basis. This is only 25 grams more than normally. The good news is that the majority of women consume more than they should, so most probably you won’t have problems with the protein intake. Nonetheless in case you don’t have in your diet any meat, which is one of the major protein sources, you should make sure that you obtain the nutrient from another source. There are numerous sources of protein, so you can make sure that you won’t get bored with eating the same thing all over again. These kinds of foods include beans, poultry, eggs, meat, milk, tofu, cheese and yogurt, among others. To make sure that you consume enough proteins daily, you should have 3-4 servings per day. In order to get the amount of 20 grams of protein, you should consider consuming the following meals. One of these meals is made of tofu and you can eat about 1 cup of this protein source regardless that it is firm or soft. The same amount of nutrients can be found in 5-6 tablespoons of peanut butter or a handful of peanuts. One and a half cups of cooked beans, the like of baked beans, kidney beans, chickpeas, refried beans, black beans, pinto beans or lentils. Another option you have is to drink three cups of vegan milk the likes of soy milk. To get the 20 grams of protein per serving, consider consuming almost a cup of cottage cheese, two cups of yogurt, a few slices of cheddar, Swiss or other kinds of cheeses, 200 grams of parmesan cheese, three large eggs, or two and a half cups of milk. You should have these only in case the kind of diet that you have allows you to. As an example vegan people aren’t supposed to have any dairy products. Having 3 oz. of meat, such as chicken, beef, turkey, lamb, veal or pork offers you the 20 grams of protein just like the servings that have been mentioned before. The same amount can be found in 3 oz. servings of trout, salmon and tilapia. You could also have 17 larger shrimps, or one and a half cups of baby shrimps. It is also healthy to have three and a half oz. of lobster, crab or thee oz. of canned clams. There are some fishes that you shouldn’t consume. Author Bio: Liza is an avid blogger and freelance writer. She loves writing on health – women’s health and pregnancy, to be more specific. Don’t forget to check out her pregnancy week by week articles on ThePregnancyZone.com, where she writes on topics relating to preparing for pregnancy, pregnancy stages, labor & delivery, and pregnancy issues, among others. Tax day is here. Ugh. Unfortunately it's just part of being an adult. But to put a fun spin on the day Seattle's Best Coffee is offering the "Great American Coffee Refund" at participating locations on April 17th. You can get your free 12 ounce cup of brewed coffee. 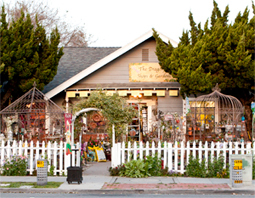 Head down to 14450 Culver Drive, Suite D, Irvine, CA 92604. 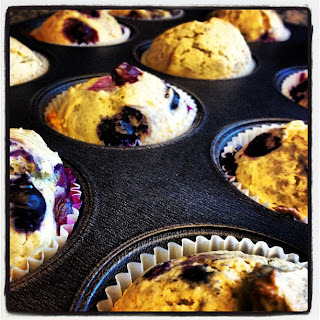 Can't make it in to the Irvine location? Head here to eFile (love that!) 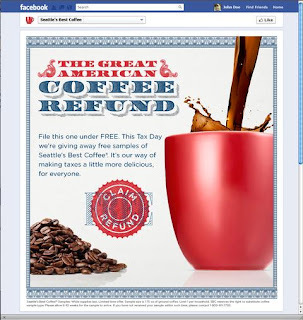 and get your "Coffee Refund" delivered to your box! You can also head here for other Seattle's Best Coffee locations participating in the Great American Coffee Refund. 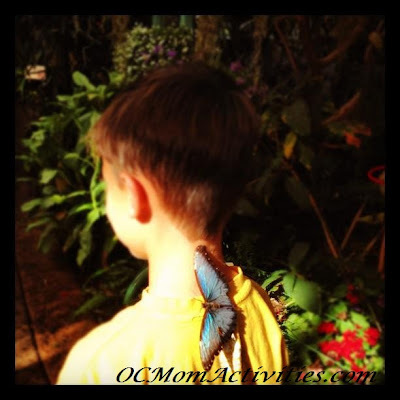 Butterfly Jungle at the San Diego Safari Park is back! It's become a Spring Break tradition in our house to visit the Butterfly Jungle at the San Diego Safari Park (yes, they changed the name a bit back from the San Diego Wild Animal Park). 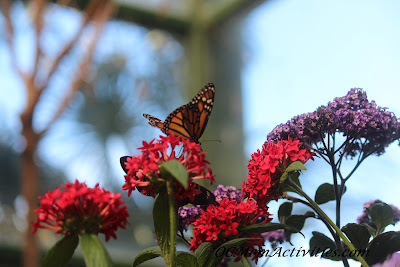 The Butterfly Jungle has been an annual event at the San Diego Safari Park for several decades and people fly in from all over the country just to experience the over 30 species and thousands of butterflies. We've all had interactions with butterflies, but I can guarantee you've never been so up close and personal with so many before in your life! It is recommended that you wear bright and vibrant colored shirts. We've certainly seen this as the best way to attract the butterflies. It runs now through Sunday April 15th, 2012. This year it's a bit different in that you pick up a ticket (no extra cost) that gives you a time window to enter the jungle. The number of people in the exhibit is restricted to a certain amount to ensure it doesn't get too busy inside. My youngest has a new nickname - the Butterfly Whisperer. He wore a mustard yellow shirt and was a magnet for the butterflies this year. At one point he had four butterflies on him at one time! My other son wore an orange shirt and he had tons of butterflies land on him! I must have spent the entire time snapping pictures. The thousands of beautiful butterflies were breathtaking! 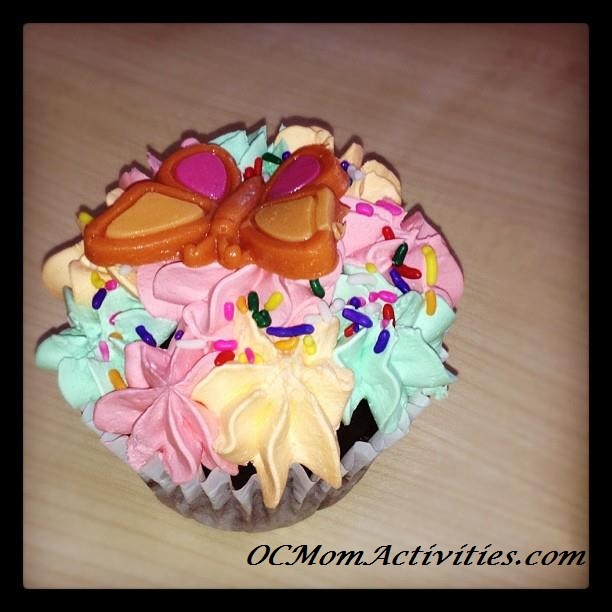 Be sure to head over to the Oasis Cafe after visiting for one of these amazing (and delicious) butterfly cupcakes. 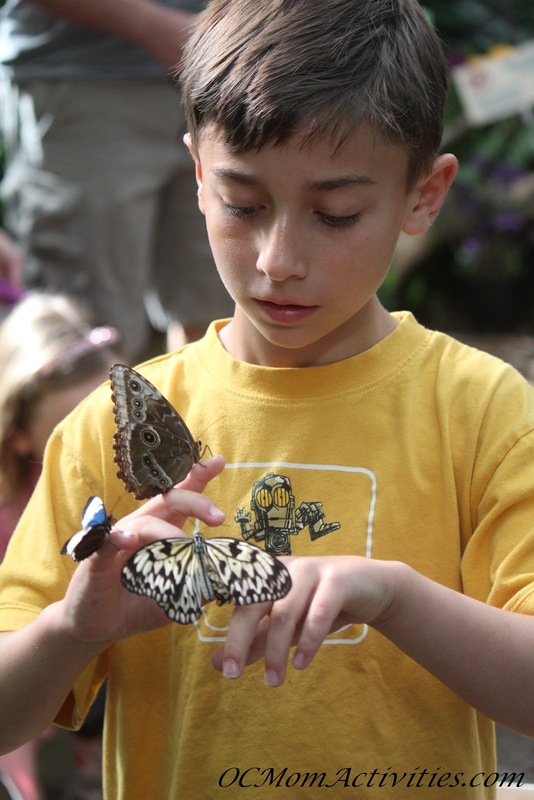 So if you haven't planned out your spring break - be sure to add the Butterfly Jungle at the San Diego Safari Park to your calendar! For more information about the San Diego Safari Park or the San Diego Zoo you can go here.